Hoosiers are always experiencing their fair share of crazy weather this time of year and that has definitely been the case over the last few weeks. With rapid temperature swings, many people are battling being sick while many others are just trying to stay healthy. “The problem is when the weather gets hot and then cold like that it can stress your body,” says Pam Ziegler, Mount Vernon Jr. High School Nurse. “Some more of my grandkids have been sick with the runny nose and the coughing and everything and it just went through the family,” says Norma Osban, Evansville. And the ups and downs across the Tri-State lately aren’t making it any easier for people feeling under the weather. “Between the snow and the rain it’s just, he’s been in bed, I mean he’s still going to classes but I mean other than that he’s been sick,” says Bryson Naviaux, Evansville. 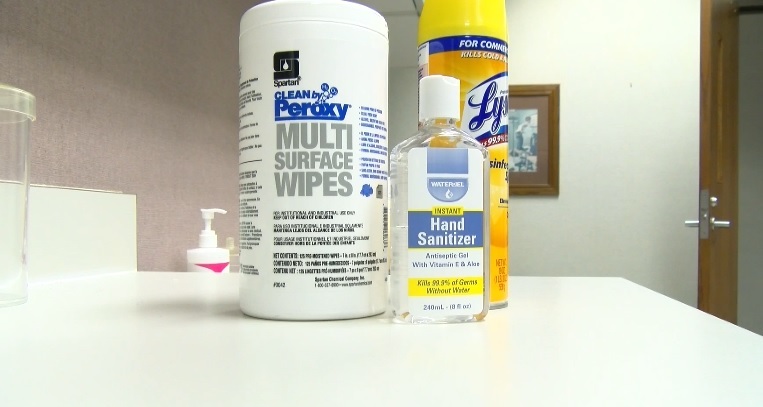 With temperatures dipping into the single digits last week, then climbing to more spring like this week, it can be difficult to avoid getting sick. “When the weathers hot one day, cooler the next day, they don’t always know how to dress,” says Ziegler. Ziegler says she hasn’t seen the flu too much, but students are still getting sick. “We have seen since the weather has gotten like this like the bronchitis, the runny nose, the coughing, ear infections, the pressure changes within your sinuses, and sinus infection,” says Ziegler. Good handwashing, disinfecting your work space, and dressing for the weather are just some ways to stay healthy. “So I would suggest layering so if they have a short sleeve underneath and they get here with a heavier coat or jacket or a sweatshirt then they get hot in class then they can take those layers off,” says Ziegler. She says the weather itself doesn’t make you sick, but going from extreme cold to heat can make it harder on the body to adjust. When temperatures drop off, more people head inside and it’s easier to get sick when we spend time in close quarters. “You’re body is already stressed from trying to keep itself comfortable from the cold and hot,” says Ziegler. “If you know your child is sick, or you know you’re sick even try to stay home. Try to stay home and get the rest that you need and the medicines you need,” says Ziegler. While many schools in the EVSC haven’t seen a high absence rate, some schools like Dawson Springs recently cancelled classes because so many students and faculty had the flu.